The steel pans band perform. 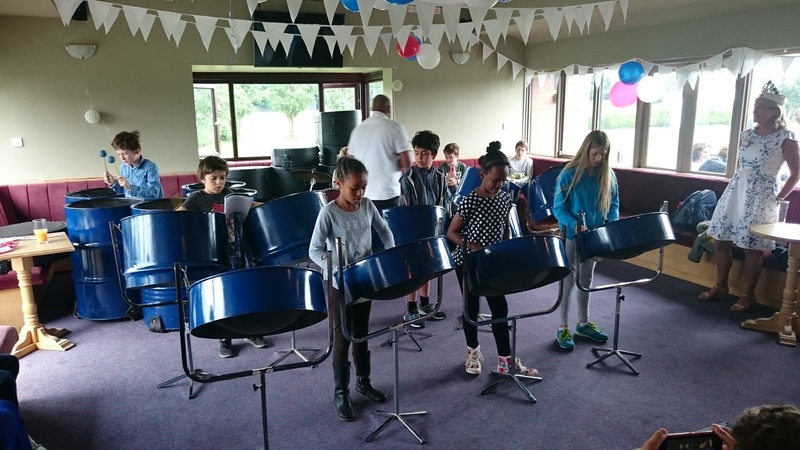 This afternoon the steel pans band performed at the annual Turney and Burbage road’s picnic. A really big well done to all the children and a big thank you to parents for bringing them and for helping us to pack up! At Rosendale, we believe that music is a fulfilling means of creative self expression that can – and should – be explored, experienced and enjoyed by all. We provide as many opportunities for children to learn, play and perform individually and together, in as many purposeful, real life settings as possible, both in school and within the local community. Some of the established musical activities our children enjoy include: peripatetic string, brass and woodwind lessons, steel pan groups, choir and chamber choir. We also have a number of new opportunities in the pipeline and are always looking for new ideas to expand our range of provision. To view the calendar of music events visit our blog.